Dr. Raja and the CLEAR Sinus® team are proud to offer the amazing comfort and convenience of the LATERA™ Absorbable Nasal Implant. 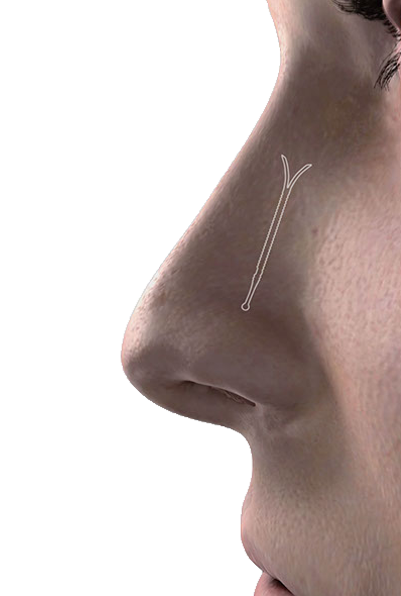 The LATERA™ Absorbable Nasal Implant is a safe, effective, easy treatment to remedy nasal valve collapse. Over 20 million Americans suffer from nasal airway obstruction (NAO), which limits airflow through the nose. This can significantly impact the quality of life of NAO sufferers. Dr. Raja and the CLEAR Sinus® team can determine whether the lateral nasal wall is contributing to a patient’s nasal airway obstruction. Patients with weak lateral cartilage may benefit from support for the lateral wall. The LATERA™ implant is a minimally invasive option for supporting upper and lower lateral wall cartilage, and can provide patients with lasting relief. Dr. Raja and his team of dedicated sinus care specialists want you to breathe easy! The LATERA™ Absorbable Nasal Implant utilizes minimally-invasive technology is used to support upper and lower lateral cartilage in the nose. This added support may reduce nasal airway obstruction symptoms and allow patients to breathe better. The LATERA™ implant is absorbed over a period of approximately 18 months, so no follow-up removal procedure is required. Other risks related to the LATERA™ implant included: discomfort, infection, reaction to material, and device retrieval.